Angel: Al the Boss Angel (Christopher Lloyd) Mission: In a departure from original 1951 movie, Al and his team of Angels help a boy (Joseph Gordon-Levitt) in foster care bring his family back together. 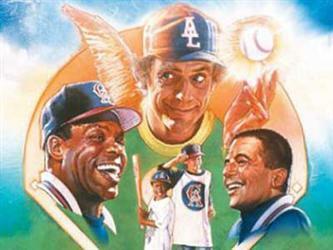 Along the way, the baseball team "California Angels" also have to win the pennant. Wings and Things: Halos and baseball caps are interchangeable for this heavenly helper. Powers: The ability to help players make out-of-this world catches and run with sonic speed. Memorable Line: "We're always watching." Legacy: Angels can't win championships for you; they bring out the talent and confidence already inside of you. 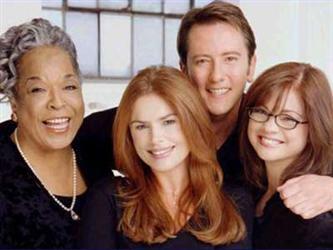 Angels: Monica (Roma Downey), Tess (Della Reese), and Andrew, aka The Angel of Death (John Dye) Mission: The heavenly triumvirate reminds desperate people that God loves them. Wings and things: When revealing their true natures, they are bathed in an ethereal glow. Powers: The ability to dole out miraculous advice and support. Memorable Line: "There's not a doctor on the face of the earth that can save that man's soul. His faith in God is what he needs now." Legacy: Fueled the huge angel revival of 1990s. 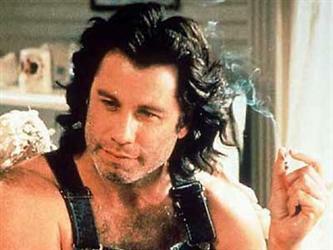 Angel: Archangel Michael (John Travolta) Mission: Out for a last hurrah on earth before being stuck behind the Pearly Gates, he steers three tabloid reporters toward redemption. Wings and Things: Comically huge, molting wings. Smells like cookies, despite pack a day smoking habit. Powers: Has fought the Devil and authored parts of the Bible, but only brings a dog back to life onscreen. Memorable Line: (From movie poster) "He's an angel...Not a saint." Legacy: Refreshingly unholy, Michael suggests angels are unconcerned with petty human definitions of sin.